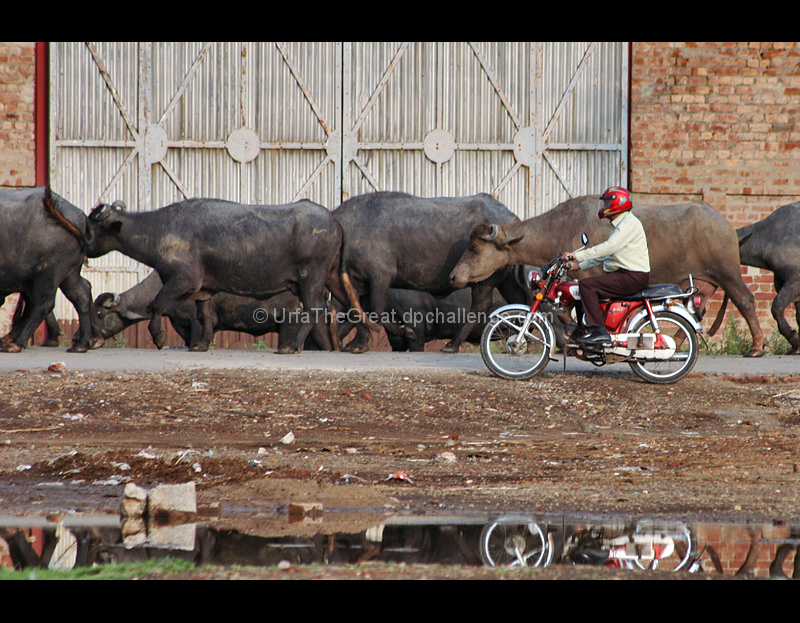 For some people winning the rat race is so important but buffalos suit my pace just fine. This is terrific - probably my favorite of the challenge both for the sentiment and the photo. Life goes on.. why the rush. A very interesting photo with a rather week title (sorry!). Love the reflected cycle wheels. The only thing that lets this image down in relation to the title is that the dude is wearing a helmet. Come on, if you really want to live and leave the rat race behind then the first thing you would do is ditch the helmet. Other then that I like it, well done. Proudly hosted by Sargasso Networks. Current Server Time: 04/23/2019 12:25:18 PM EDT.